The Summer Bridge Program is a six-week rigorous academic residential program that facilitates the transition of students from high school to the university. Since 1973, students have found the Summer Bridge Program essential to their successful transition to Cal. Summer Bridge cultivates a diverse community of scholars and prepares them to engage actively with and meet the challenges of a large public research university. Students can meet with an EOP or USP Academic Counselor during their time in Summer Bridge, to receive additional guidance and support in navigating the university and more. For additional information about Summer Bridge, please visit the Summer Bridge Home Page. 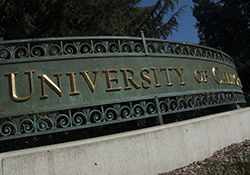 Undocumented students who participate in the Summer Bridge Program benefit greatly from the academic preparation, transitional academic counseling and programming, and other support services that prepare them for life at UC Berkeley. There are also unique situations around paying for Summer Bridge and preparing for the transition into the fall semester that are important to plan ahead for. If you are an undocumented AB 540 student that would like more information about participating in Summer Bridge, contact Liliana Iglesias at (510) 642-7224 to schedule an appointment. The Transfer Transition Program (TTP) is designed for incoming EOP/USP students. TTP students enroll in two courses: (1) a 4-unit upperdivision lecture course and (2) Ethnic Studies 194 (2 units), a transition course specifically designed for incoming Transfer Students. * Enrolling in 6 units allows eligible students to apply for Financial Aid to pay for the program. Hone strategies to facilitate your successful transition. 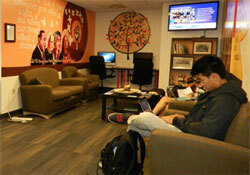 Learn about Berkeley’s academic expectations & how to maximize your success. 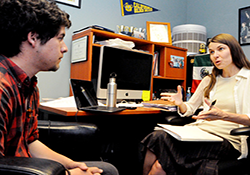 Receive dedicated academic counseling through EOP. 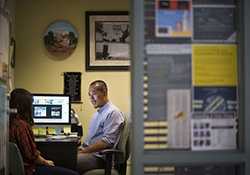 Gain strategies to work with faculty and engage in research. Join the EOP & CE3 communities. Meet other incoming transfer students. Email Luisa Giulianetti at lgiulian@berkeley.edu or call 510.642.1772 for more information! Schedule an appointment by calling us or stopping by. Drop-in appointments are available on a first come first serve basis.